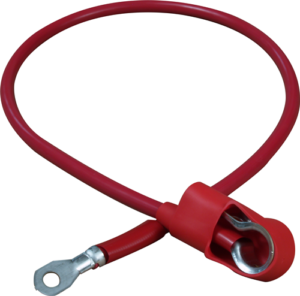 As a premier worldwide battery cable assembly manufacturer, Precision Cable Assemblies (PCA) leads the way in battery cable assemblies for Original Equipment Manufacturers (OEMs). 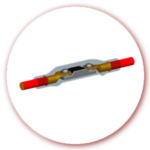 Our battery cable assemblies are designed to supply a continuous source of electrical power from the battery to peripherals and standard outlying electrical components in a system. Battery power delivery systems must be highly reliable regardless of environmental conditions. 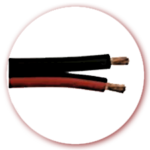 For applications with higher electrical usage, battery cable harnesses are the proper way to organize and secure the many wires such electrical systems sometimes require. 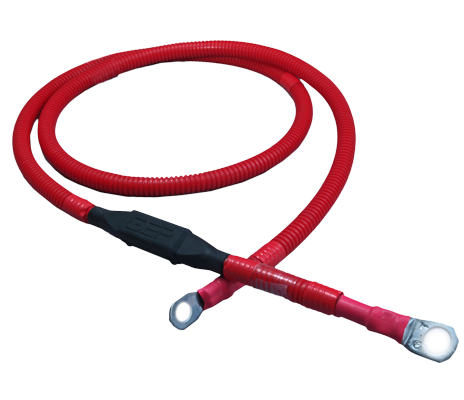 A battery cable harness assembly secures the wires against the effects of vibrations, abrasions and moisture therefore reducing the risk of an electrical short. Multiple configurations for multiple wires, side leads, 90° Flags, etc. 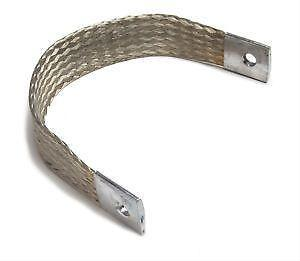 In-line, fused battery cables are a great option when overloads are likely to become problematic. 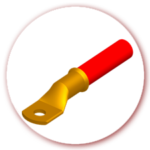 A complete line of in-line fuse holders can be specified as a part of any custom assembly request. 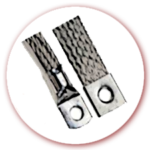 With a large number of assembly combinations including wires, connectors, terminals, splices and protective coverings, PCA’s expert electrical, mechanical and industrial engineering staff’s main focus is proper component selection. Each battery and cable assembly is also manufactured to optimize space utilization, cost and quality of customers’ electromechanical system. To ensure proper wire connection, all battery cable assemblies undergo one hundred percent continuity testing. 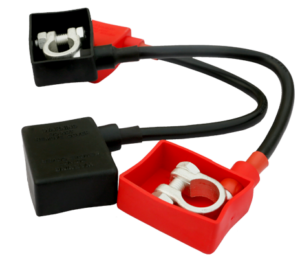 From prototype to full production possibilities, simple and complex battery cable requirements, and custom molded component capability, PCA is equipped to provide OEMs with optimum end results. 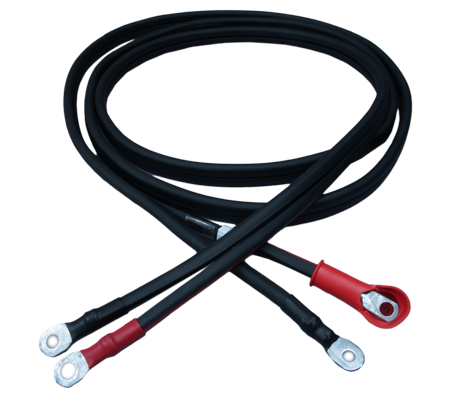 Precision Cable Assemblies continues to be a cable assembly manufacturer that leads the way in conventional and custom battery cable assembly cables. 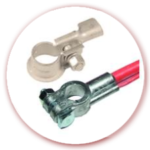 Contact Precision Cable Assemblies for their expert assistance in design and production of battery cable assemblies.